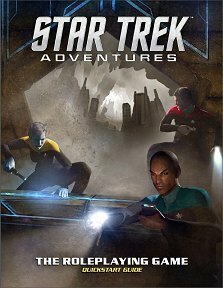 Try out the ruleset with a typical Starfleet mission. "We've received a message from Narendra Station that a runabout called the Susquehanna has gone missing in the Carina Nebula, deep within the Shackleton Expanse. The Susquehanna was investigating an unusual alien signal that originated from the nebula when all contact was lost. We have been ordered to enter the nebula, find the runabout, and determine the origin and cause of the alien signal. Starfleet has also advised that Romulan and Ferengi ships have been sighted in the region, so we should exercise caution since they may well have detected the alien signal as well."